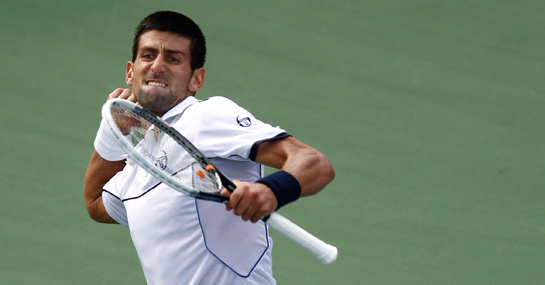 Novak Djokovic was already a well-supported favourite to win the US Open before a serve had been struck, but the recent rain to have lingered over Flushing Meadows will have only supported his chances further. The world number one has still only lost once all season and will be determined to win a first US Open, having been a beaten finalist on two previous occasions. While being the form player on its own is a good enough reason to expect him to triumph, the recent rain that has caused the majority of the last two days’ play to be cancelled also works in his favour. The delay has prevented Djokovic beginning his quarter final with Serbian compatriot Janko Tipsarevic, but he still only has to win three matches in the next five days to win the Grand Slam. Main rivals Rafael Nadal and Andy Murray are not even a set into their respective fourth round matches and therefore will have their fitness even more pushed to the limit. Federer is the other big name having the luxury of needing just three victories, but there is every chance that his quarter final with Jo Wilfried Tsonga could be a five-set classic, which would prove demanding both mentally and physically. Djokovic should have little trouble overcoming his countryman in straight sets, which should in theory leave him easily the freshest player when the tournament really hots up at the last-four stage. Of the other leading contenders, Nadal and Murray have both drifted slightly to 9/2 and 11/2 to respectively as a result of their far busier schedules, while there has been a bit of support for Federer, who has been backed from 5/1 to 9/2 in the US Open tennis odds.